February is Dental Health Month, and it’s an excellent time to reinforce healthy dental habits. 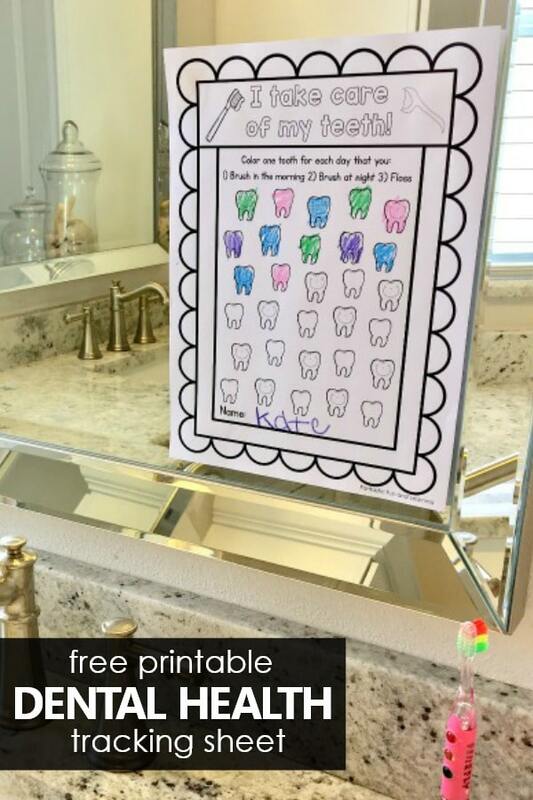 This free printable kids tooth brushing chart is a great tool to help kids remember to brush and floss daily. 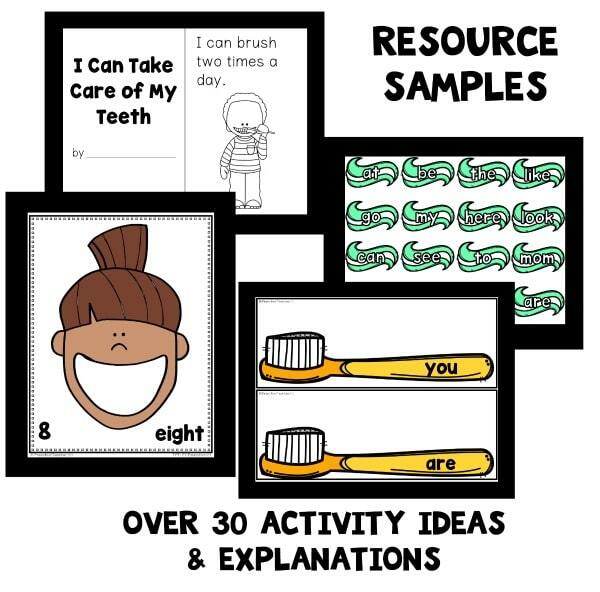 GET A FULL WEEK OF DENTAL HEALTH THEME ACTIVITIES IN OUR PRESCHOOL DENTAL HEALTH LESSON PLANS. 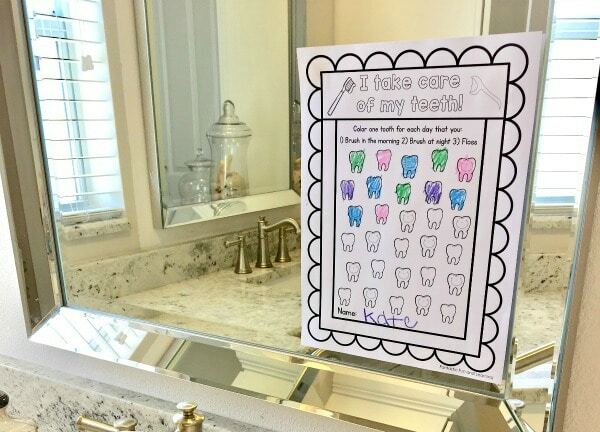 The free printable kids tooth brushing chart is super easy to use. Just have kids color one tooth each night if they remembered to brush twice and floss once that day. Easy peasy! If you have reluctant little ones, encourage them to listen to a fun song as they brush. Raffi’s Brush Your Teeth song is always a favorite. This tooth brushing song from Super Simple Songs is a fun one too! Parents, grab the free printable and print one for each child in your home. Help them remember to brush and floss daily and see how many days in a row they can go without forgetting. Teachers, print copies of this freebie to send home with your students during Dental Health Month. Encourage them to return their sheet when they’ve finished it. You could even give them a fun prize when they return it!